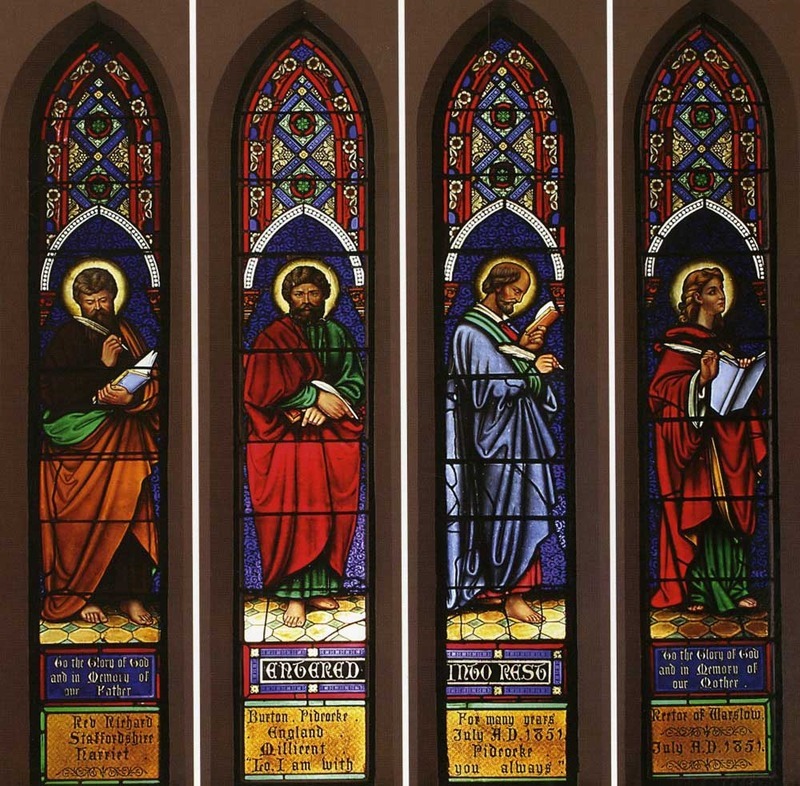 These windows depicting St. Matthew, St. Mark, St. Luke, and St. John were part of the original stained glass art adorning the 1878 church building. R. C. Pidcocke donated the windows in memory of his parents, the Reverend Richard Burton and his wife Harriet Millicent Pidcocke of Staffordshire, England. It is rumored that St. Luke bears a curious resemblance to Pidcocke.